I loved the outfit I was wearing on the last day, I borrowed my mums jumper and it was so comfy and warm. 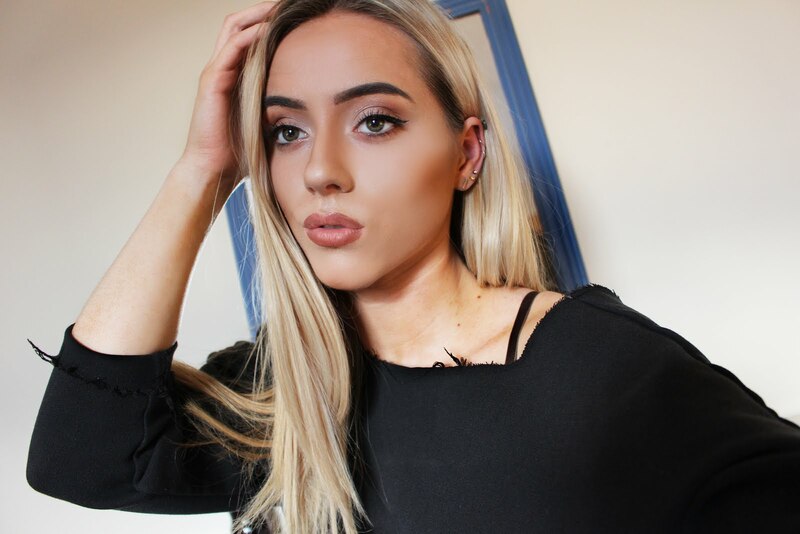 If you read my blog regularly you'll know I'm a bit of a monochrome girl so I thought I'd go classic and brighten up this look with a red lip (I think it was the Kate Moss Matte Range for Rimmel London which I'm loving at the moment). We managed to take a few snaps on the top of the Eiffel Tower which was so lovely. 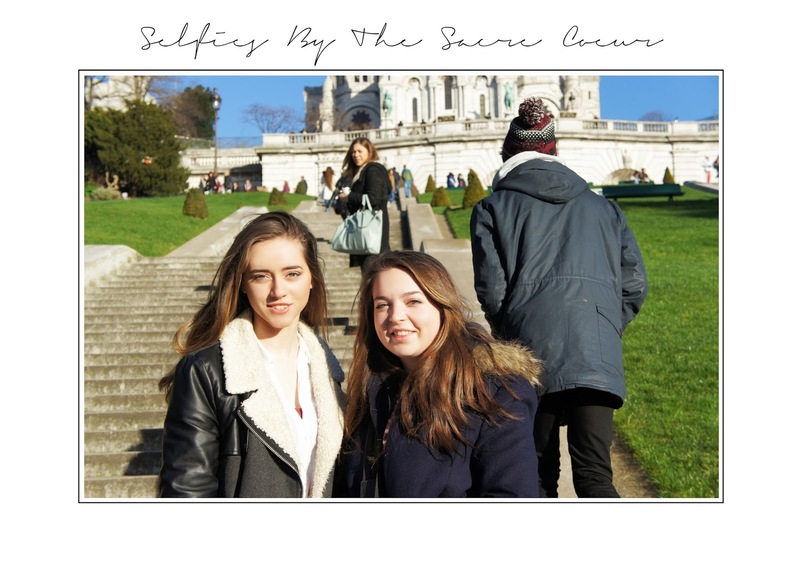 The second day of my Paris trip was totally packed with things to do, by 9 30 we were on the Metro on the way to Montmartre to see the Sacre Coeur, a beautiful Church. We also got the chance to go and see the street artsists on the Montmatre, they were so talented but none of us got our pictures painted as we didn't have much time. 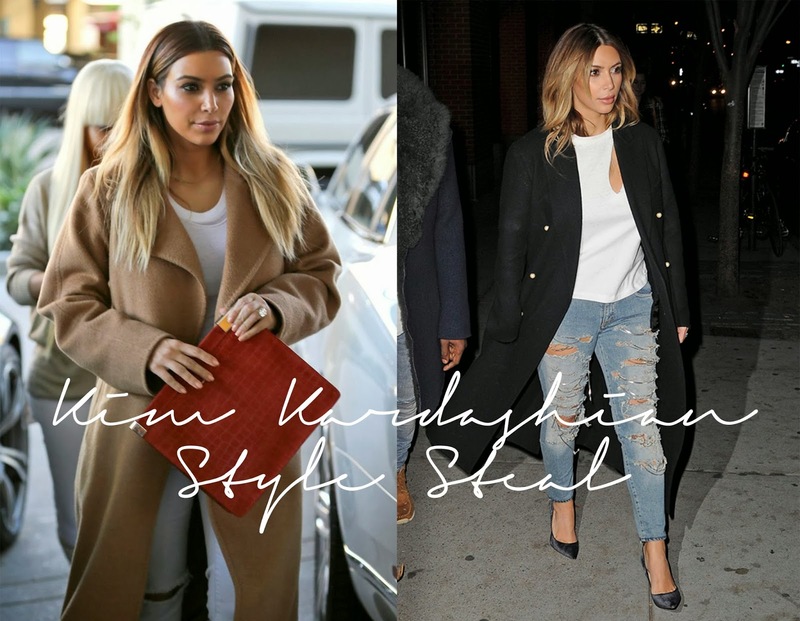 One of my style icons is Kim Kardashian; whether you agree with her lifestyle or how she rose to fame, you have to admit that her wardrobe is to die (as the Kardashians sisters say). I am a huge fan of this look below - a long coat and ripped jeans is a perfect way to look chic when you're out and about. Taking inspiration from Kim K's style, I ripped my old Levis, used a white shirt and my long coat. The shoot is taken on the Champs Elysees in Paris - lovely change of scenery! I'm in the process of editing a vlog of my trip to Paris for my YouTube Channel but I wanted to show you the amazing photos my friends took and tell you all about it in detail! I'm going to do three posts, over the space of three weeks so that I can get all the editing done nicely! It took us about 5/6 hours to get there but as soon as we got to Paris we were on the Metro with our suitcases in a beeline to our Hostel! The Hostel was actually very nice and apparently very cheap so I'd recommend the Fiap Jean Monnet Hostel if you're ever in need of accommodation in Paris! 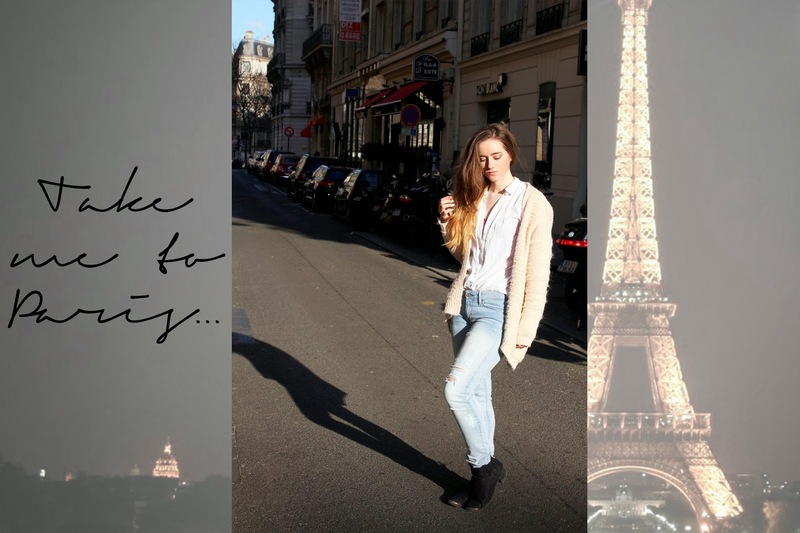 So if you follow me on Instgram or Twitter or read my blog you will know that tomorrow I am jetting off to Paris!! I'm so excited because I've never been and although we're going with school, we still get to do loads of cool things! On Monday night we're having a Bus Tour of Paris at night, we're going to the Eiffel Tower AND seeing the Notre Dame - so that's going to be so beaut! As we're only going for 3 days and have been told to 'pack light' choosing outfits has been on the brain for weeks! My aim for the outfits are comfort, warmth & style. 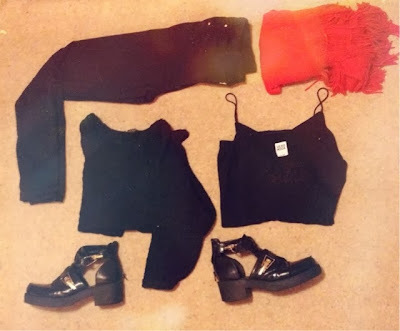 I want to be a Fashion Stylist when I'm older so I'm trying to create loads of new outfits using new & old clothes! So here are my 3 different outfits for Paris!